Looking for Arizona vacation spots? Recently designated a National Register Historic District, downtown Chandler offers a unique collection of eclectic art galleries, trendy shops and award-winning restaurants making Chandler one of the great Arizona vacation spots. What other Arizona vacation spots allows you to "nosh" the afternoon away at a boutique winery, enjoy an old fashioned milk shake at an authentic diner, or explore one-of-a-kind shops, Historic Downtown has something for everyone. Throughout the spring and fall, music concerts are held on the city square, and a farmer's market operates year round on Thursday afternoons. For musical and cultural performances, the Chandler Center for the Arts is conveniently located within walking distance. Come see what makes Chandler one of the number one Arizona vacation spots today! Chandler�s history began when its founder, Dr. Alexander John Chandler, arrived in Prescott, the capital of the Arizona Territory, in 1887 as the first appointed veterinary surgeon to the region. Unfortunately, the entire southwest was experiencing a severe drought. Dr. Chandler found that he was unable to help the area's cattle herds and resigned his post and made plans to move on to California. However, as he arrived in the small frontier town of Phoenix, a deluge of rain began to fall that halted all travel. 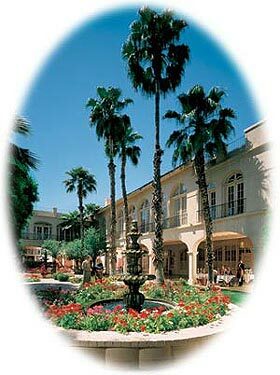 Dr. Chandler watched from his hotel room as the desert blossomed into a fantastic array of renewed life. The doctor, moved by what he saw and the possibilities it foretold, reconsidered his resignation and canceled his departure. The Vision Gallery is a non-profit art gallery in Chandler's Historic City Center, and is managed by the Chandler Cultural Foundation. Exhibits are rotated every six weeks and all artwork is for sale. The gallery features works on canvas, watercolors, glass, mixed media and sculpture.